Our garage was first established in 1995, we quickly built up a respectable reputation as a dependable and affordable garage within the local area. We aim to keep your car on the road and running smoothly, all at a price you can afford. 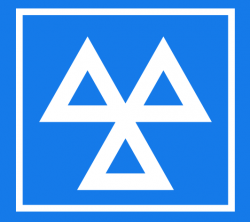 Our skilled mechanics can work on cars of all makes and models from light vans to other commercial vehicles including all the key manufacturers. You will also be pleased to know all of our work comes with a complete guarantee. Our mechanics have many years’ experience and will work swiftly and efficiently, in turn helping you save money on your vehicles running costs. As a family run garage, we can offer each of our customers a personal service that many of the larger garages can’t match, at the same time still providing high quality work. We offer a wide range of services and can even carry out contract work & fleet work if requested. Some of our clients include North Wales Police Service, BT OpenReach and many other respected commercial clients. We are ideally located in Colwyn Bay and many of our customers travel far and wide to visit our garage. We serve many of the surrounding areas such as Llanfair Talhaiarn, Rhyl, Abergele, Llandudno and Llanddulas. Please feel free to give us a call on 01492 530 261 today.